Meanwhile, Tesco has experienced continuous strong sales growth. Analysis of the Irish supermarket sector by Kantar Worldpanel has found that Dunnes Stores commanded 22.5% of the total market in the 12 weeks leading up to December. This puts the retailer marginally ahead of Super Valu at 22.2% and Tesco at 22.3%. Aldi and Lidl have come joint-fourth with 11.2% of the market each. 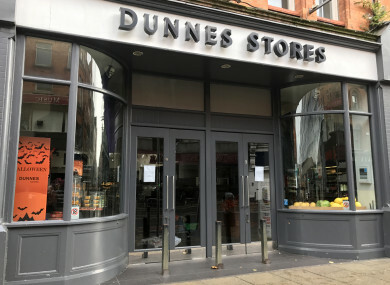 Despite remaining in the top spot, Dunnes Stores has seen a sales growth of just 2.4%. Meanwhile, Tesco has shown the strongest growth compared to last year, up by 4.7%. This is the fourth month in a row that Tesco has experienced sales growth of more than 4%. Drilling down into the figures, David Berry of Kantar explained that an initiative by Dunnes Stores has led to its success this quarter. “Dunnes Stores’ Shop and Save initiative has proved the key to the retailer’s success. Shoppers now spend €2.30 more per shop than last year as customers are encouraged to up the value of their basket to get extra money off,” Berry said. He noted that while Tesco has seen fierce success recently, it’s a head-t0-head competition in the lead up to Christmas. “Despite Tesco’s success, there are only 0.3 percentage points separating the top three supermarkets. With the festive shopping period well and truly underway, any of these retailers could secure the top spot at Christmas,” he said. And with Christmas just around the corner, shoppers are evidently stocking up on more festive treats than last year. Christmas puddings and mince pie sales are soaring – up 12.6% and 2.5% respectively on this time last year. Email “Dunnes Stores is clinging onto top spot in Ireland's battle of the supermarkets”. Feedback on “Dunnes Stores is clinging onto top spot in Ireland's battle of the supermarkets”.